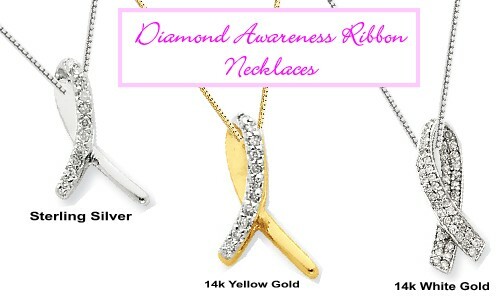 Diamond Awaress Ribbon Necklace set in 14k Yellow Gold, 14k White Gold or Sterling Silver. Cancer touches many of our lives. From Mothers to daughters these make thoughtful gifts for the women in our lives that support and encourage us.